For those of you who don’t know, Galentine’s Day originated from an episode of Parks and Recs and has since become a real thing celebrated on February 13. It’s a day about “ladies celebrating ladies” and I am all for that! 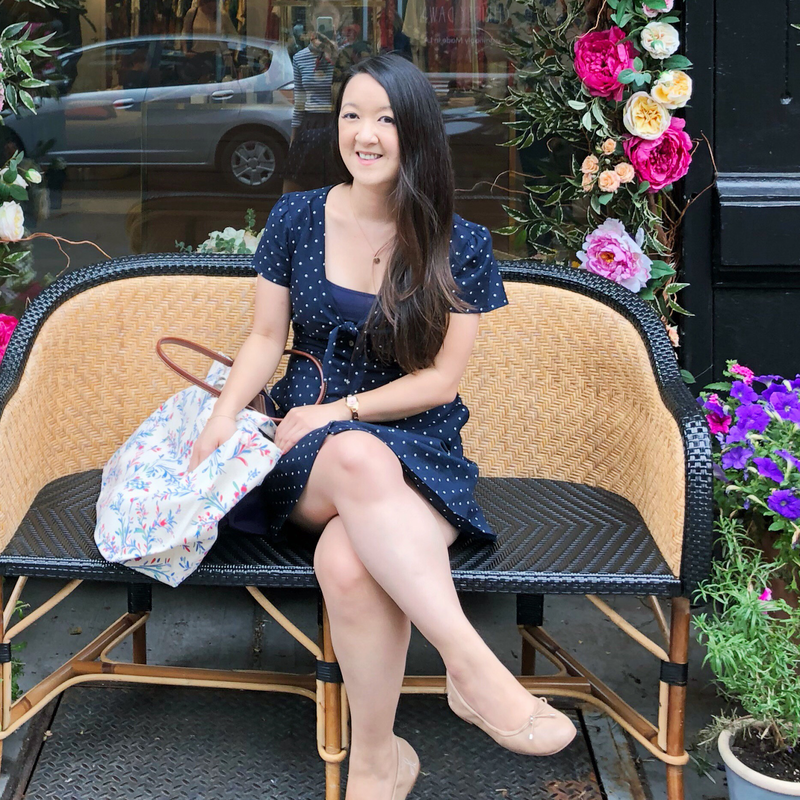 I feel grateful every day for the wonderful women in my life that I can call my friends so when I realized February was soon approaching, I knew I wanted to do something fun on the blog to coincide with the holiday. 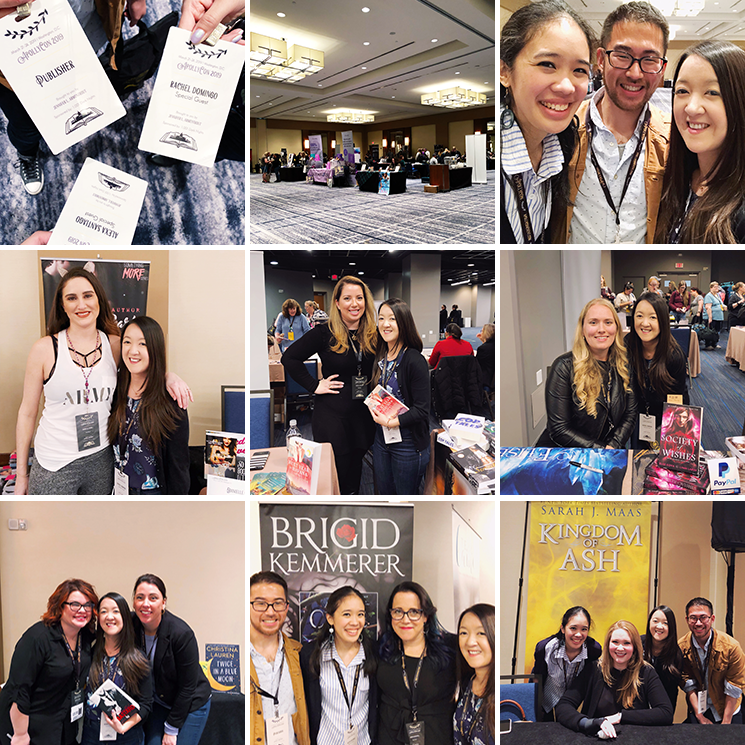 And of course, I reached out to my usual blog-partners-in-crime and dear friends — Alexa, Kelly and Hannah — to do this post. 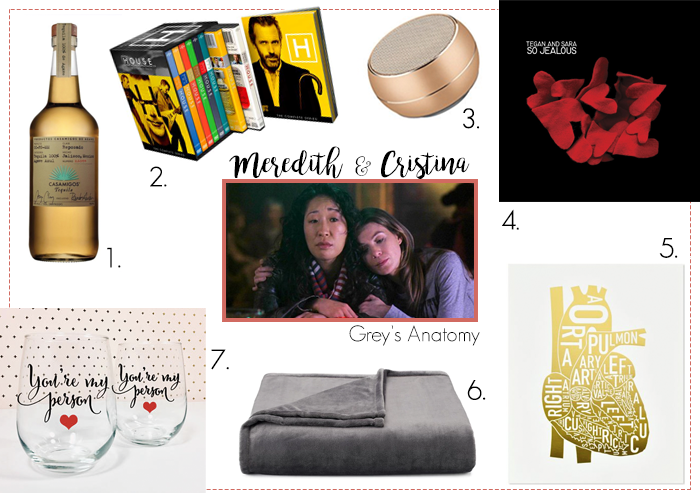 We each picked fictional BFFs that we love and created gift guides for them! It’s no secret that I continue to be a Grey’s Anatomy fan for life and the main reason for that is Meredith Grey and Cristina Yang. Even though Sandra Oh has since left, their friendship continues to resonate with me. I love their phrase “you’re my person”, their brutal honesty with each other, their dance-it-out moments and even their real and flawed fights. They support each other no matter and remind one another that their dreams matter. So, without further ado, here’s my gift guide! Meredith and Cristina love medicine, alcohol, dancing and each other, which made this list absurdly easy to put together. who is lying in her bathtub. 1. Tequila • This was seriously the first thing I thought of! I can recount a ton of moments through the series between these two that involved tequila, ranting about the men in their lives and usually a bit of dancing too. So you can't have a gift guide for Mer & Cristina without alcohol. 2. House series DVD • They watch surgeries from the gallery and watched old Ellis Grey videos on their nights off. Which is why I can't imagine them watching non-medical TV shows. I thought of House because Hugh Laurie is awesome and they would totally appreciate his snarky attitude. 3. Wireless travel speaker • Because even when you're having a spontaneous dance-it-out moment at work, you should still be able to play your music loudly. 4. Tegan and Sara, So Jealous • Their final dance was to "Where Does the Good Go" so this needed to be here. I can't listen to this song without thinking of that scene! 5. Heart anatomy poster • Meredith was gifted a kidney in a jar by McDreamy and they drew a diagram of a surgery right on their bedroom wall (and kept it). Then Cristina is a cardiothoracic surgeon. So, it stands to reason that they'd be into this heart anatomy print. 6. Huge plush throw blanket • They often have sleepovers (and end up kicking out the men in the process) so this huge blanket is perfect and cozy for those moments. 7. "You're My Person" stemless wine glass • It feels a little meta to include these here but I can't help it! That phrase is so important to them and they need something to drink their tequila from anyways, right? Who's your favorite pair or group of fictional BFFs? Make sure to check out Alexa, Kelly and Hannah's posts too!